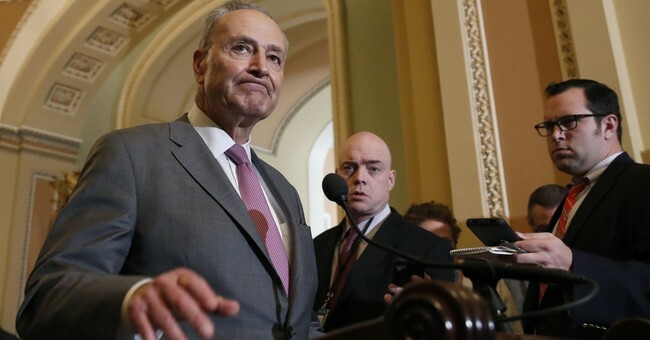 Senate Minority Leader Chuck Schumer (D-NY) repeated the talking points of abortion groups Planned Parenthood and NARAL on the Senate floor Monday regarding President Trump’s Supreme Court nominee. He took up their “personal liberty standard,” introduced last week, arguing that Trump’s nominee must voice his or her support for Roe v. Wade and other hot-button issues rather than the normal standard of stare decisis, which means replying as Gorsuch and others have, that they will respect precedent. Schumer pointed to past conservative nominees who were later confirmed, such as Justice Gorsuch, claiming that they later acted in ways that overturned precedent. “We have ample example from the past several years of judges who have sworn in their confirmation hearings to respect precedent and then reversed their stand once on the court,” he said. He emphasized that the next nominee “has an obligation, a serious and solemn obligation to share their personal views” on issues such as Roe v. Wade and the healthcare law. “It is near impossible to imagine that President Trump would select a nominee who isn’t hostile to a woman’s freedom to make her own healthcare decision,” Schumer claimed. On Thursday, the nation’s largest abortion provider Planned Parenthood, along with the abortion advocacy group NARAL, called on the Senate to demand a new “personal liberty standard” of forcing the nominee to affirm abortion. Schumer often defends Planned Parenthood and received a $9,000 donation from them for the 2016 election cycle. He also received $1,000 from NARAL for that cycle.